The FDA approved Dysport® for cosmetic and medicinal use in the United States in May of 2016. This purified type-A neurotoxin produced by the bacteria Clostridium botulinum temporarily prevents the release of acetycholine from sympathetic nerve terminals, smoothing away furrows between the brows. The onset of Dysport®’s muscle relaxing effect may be faster than BOTOX® and may last longer, according to Dr. Jeffrey Raval. Just like BOTOX® Cosmetic, small doses of the toxin (also known as Reloxin) are injected into targeted wrinkle-causing muscles preventing the muscle from contracting and effectively reducing the wrinkle’s appearance. 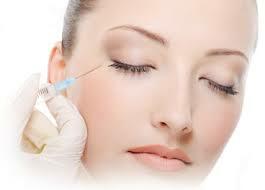 Also like BOTOX®, Dysport®, made by Ipsen of Santa Barbara, CA, doesn’t require any downtime for recovery. The patient can return immediately to his/her natural activities, play or work, while understanding the risks of bruising, itching, redness. In rare cases, vascular occlusion can lead to tissue loss and scarring. Dysport® has been available in the U.K. since the early 1990’s and is licensed in 67 countries worldwide including the United Kingdom and many European markets. Dysport® continues to be studied, in particular for its reach or diffusion rate—considered to be greater than BOTOX®, able to spread to muscles not intended for treatment.